Today, for Veterans’ Day, I’d like to remember some special people, and honor a couple of folks, too. First, I’m remembering my brother-in-law, Ed. My sister, June, married Ed when I was just a toddler, so he was always like a big brother to me. Ed was on the USS Albany, was stationed in North Africa and cruised the Mediterranean. He was awarded a medal for the Korean War, although he never saw action in that war. Apparently he received the medal because he served during that time. Ed returned home aboard the USS Iowa. He and June always lived nearby, and I spent many happy hours at their house with them and their children. Ed passed away in 1986. 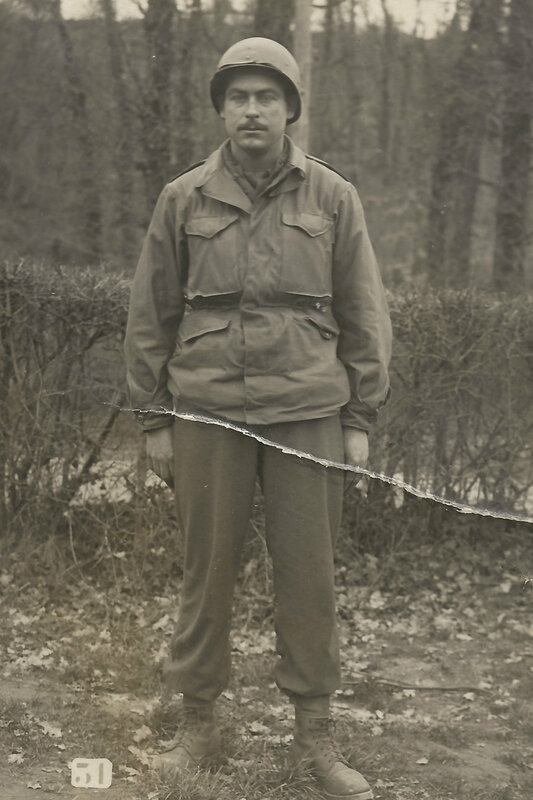 Today, I’m also remembering my Uncle Bennie, who was a World War II veteran. He was captured, but thankfully and miraculously, escaped from a prisoner-of-war camp in Germany. He returned home safely, and since he and his family also lived nearby, I saw him frequently. Uncle Bennie lived a long, active life, passing away in 2005, at the age of 83. Now here’s the smile for this Veterans’ Day, involving another veteran that I’m honoring today: my father-in-law, “Pop”. 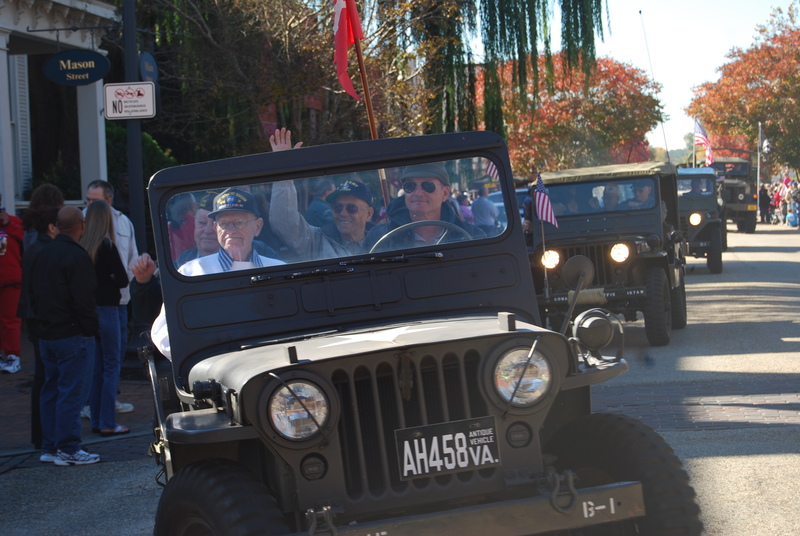 Last year, our little town had a Veterans’ Day Parade, and Pop, also a WWII vet, was invited to ride in a vintage army jeep in the parade. Motor Man and I stationed ourselves at the end of the street, so we could get good pictures. I promise there was no trick photography involved, and I haven’t edited this picture. This is SOOC (straight out of the camera). Does it not look like the driver was taking this turn on two wheels? But, really, it’s just a strange angle. By the way, that’s Pop on the far left in the white shirt. Hang on, Pop! We have many friends who are veterans, and I know if I were to start naming them, I’d forget to mention someone. 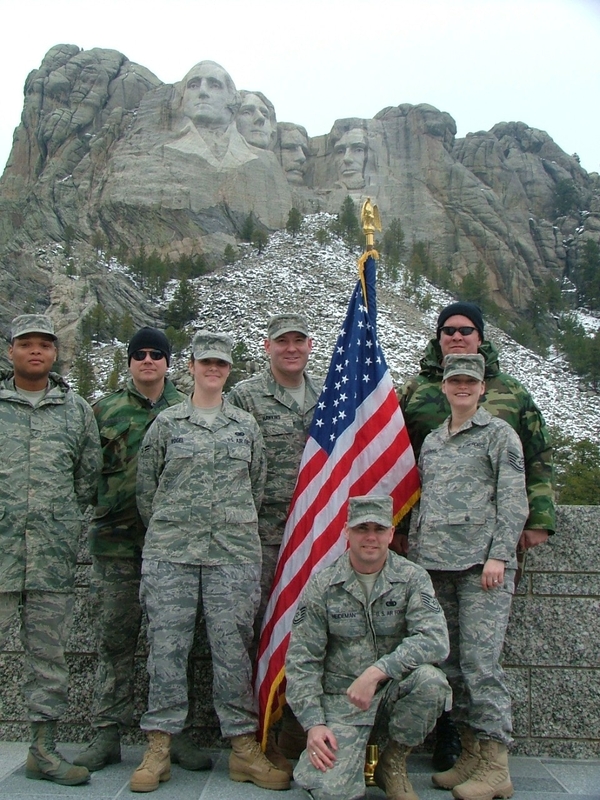 So – to all the vets and to those actively serving in our military, I thank you. It’s scary to imagine what our world would be like without folks like you.